Let's consider the use of the term "dairy cow." The word "dairy" leads us to believe that cows are magic milk-making machines - constantly producing milk for humans to drink and turn into products like cheese, yogurt and ice cream. Not so. Cows, just like every other mammal (humans included), only produce milk for their babies. A "dairy cow" is a cow who is in a constant state of impregnation and birth. A "dairy cow" is a cow who has her baby ripped away moments after birth. There is no such thing as a "dairy cow," just a mother cow. Calvin, Bernard, Emerson and Russell came to CAS at just 3 days old. The four boys would have been slaughtered for "veal," a byproduct of the dairy industry. "Farm animal" is another term to examine. When we call certain animals, namely cows, pigs and chickens, "farm" animals, doing so implies that these animals are meant to be eaten. If I were to say to you that I eat cats or dogs, that would sound absurd, right? We think that sounds outrageous because we know cats and dogs personally, and we know that they are wonderful beings capable of love. Cows, pigs, and chickens are also wonderful beings capable of love, but most of them never have the chance to thrive and most people never get to know them personally. "Farm animals" aren't meant to be eaten more than any other animal. In fact, in my view, no animal exists to be eaten. Rather, all non-human animals should get the same respect we award our companion animals: "why love one but eat the other?" So what should we call cows, pigs, and chickens instead? We should call them "farmed animals." "Farmed" describes the action, almost always a brutal one, that happens to these animals. "Farmed" also implies that this action can be done to anyone or anything. A simple "ed" at the end of of a word can change the meaning significantly. 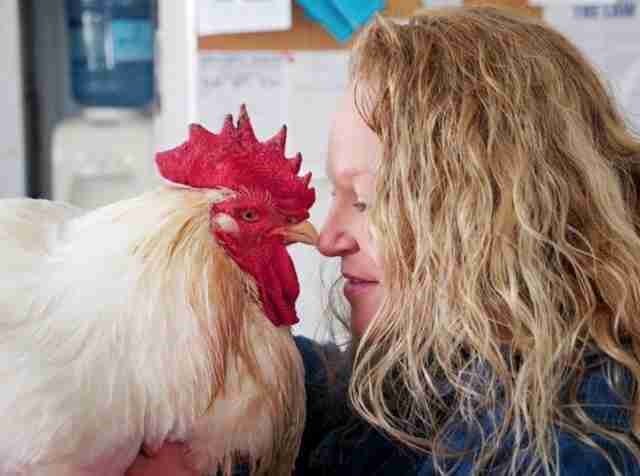 CAS Animal Care Coordinator, Jen Mackey, and Hank the rooster shared a special bond. Jen said of Hank, "[He] has taught me so much more than any book or study ever could about the emotional capacity of chickens. I can't really find the words to express how much I love him. Now, imagine you are at a grocery store. What do you see? Likely you will see words like "pork," "steak," "bacon," and "hot dog." These words create a disconnect from what they actually are. Pork and bacon is the body of a dead pig. Steak and hot dog is the carcass of cow. These words make it easy for us to forget that the food we buy at the supermarket was ever alive. Agribusiness likely chose these words on purpose, as a tactic to generate more sales, but you can choose different words to use in your every day life. The next time someone offers you a hamburger, you can reply, "No thank you, I do not eat cows." 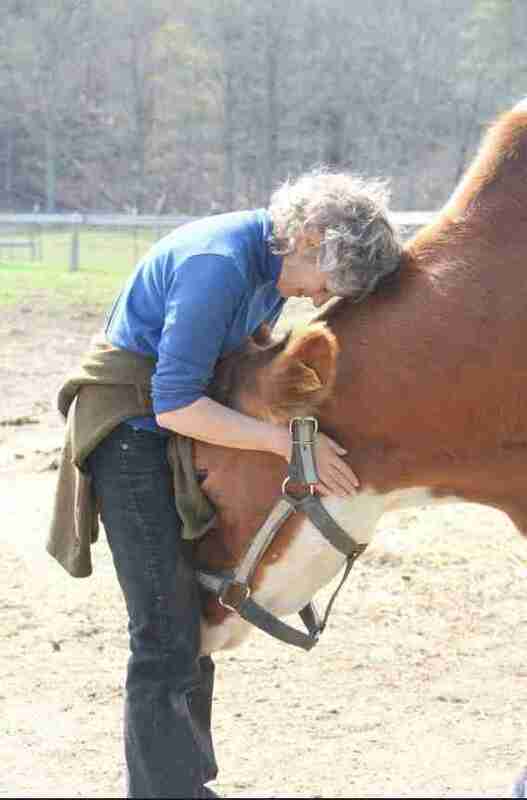 Kathy Stevens, Founder and Director of CAS, has a soft spot for Tucker the cow. Tucker is a sweetheart and a gentle giant; he is not a "hamburger" or a "hotdog." Words like "dairy," "farm," and "pork" do not belong in our vocabulary. It's time we stop using all of the words that do a disservice to farmed animals. Whether you're vegan or simply a lover of all species, you can change the words you use to reflect your beliefs. It is the easiest form of activism. A word like "farmed" will likely spark a conversation and will hopefully enlighten those you speak with. Cows, pigs, chickens, turkeys, ducks, goats, sheep; that is who they are. Farmed animals are individuals, but very few of us ever get the opportunity to get to know them. Not knowing farmed animals makes it easy for us to write those animals off as an "other." 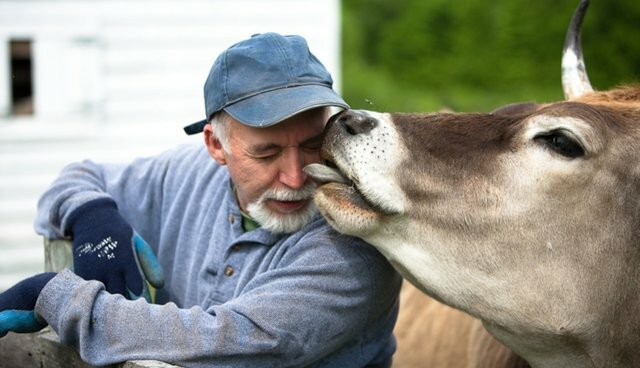 At Catskill Animal Sanctuary, our 110-acre haven for farmed animals, we give tours from May through November, and every year thousands of people get the unique opportunity to meet these special animals in person. We invite you to come visit CAS for a tour, relax at The Homestead, our beautiful bed & breakfast (now open year round! ), indulge yourself with a delicious vegan cooking class, or perhaps all three! If you live too far away, please check out our YouTube page and get to know some of our special beings. I am sure the non-human animals at CAS will bring a smile to your face and make you stop and think the next time you speak on their behalf. Above, Amelia and I take in a beautiful fall day at CAS. 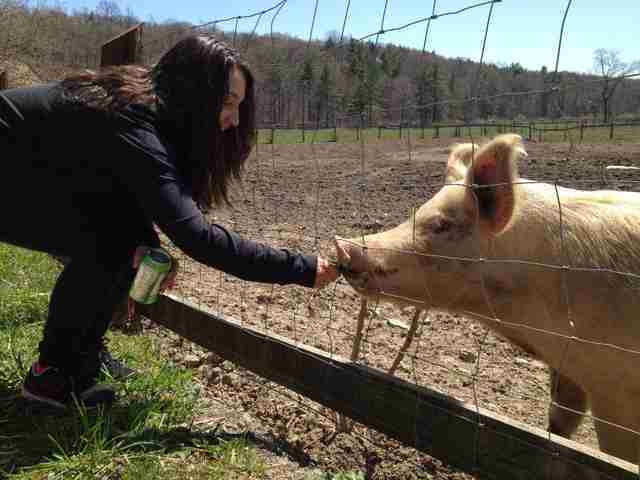 Pigs are my very favorite non-human animals, but I would never know it without sanctuaries like CAS.